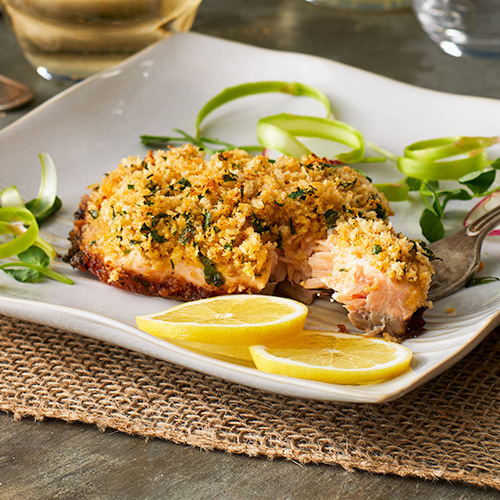 Robust, nutty mustard flavor paired with a delicate crisp breading, salmon at its best. Place salmon fillets on work surface skin side down. Brush tops with Basil Pesto Mustard. Season with salt and pepper.